After spending 34 of his 47 years in the teaching profession at Sam Houston State University, educational leadership professor Jimmy Merchant is saying goodbye to the university. Merchant's life work will be honored at a retirement party on June 2, from 4:30 p.m. to 6:30 p.m. in the Sam Houston Memorial Museum Walker Education Center. "I'll miss the people," Merchant said about his retirement. "I'll miss the people I've worked with, who have been wonderful people to work with, and I'll also miss the interaction with the students because in many of the schools in the area are former students, and I've been here for 34 years." Merchant earned his bachelor's degree in social science secondary education from Texas A&M-Commerce in 1956. He served as a teacher and principal for 12 years in schools at Edna, Texarkana and Sherman. Though his path led him to teaching, Merchant said it wasn't something he had considered until late in his undergraduate career. "I went through college thinking I wasn't going to teach, at least for the first two years. Then I decided I would go into teaching," he said. "I taught sixth grade in an elementary school in south Texas. I taught everything, third through eighth grade, and I taught all subjects in elementary plus; then, when I went to junior high, I taught math." During that time, Merchant received both his master of education degree in 1959 and his doctorate in 1969 from Texas A&M-Commerce. He also served as an instructor at Texas A&M-Commerce for one year before coming to Sam Houston State in 1969. "I had finished my degree there (at A&M-Commerce), and I was looking for a job. I had a chance to come here or go to a school in Missouri or one in Oklahoma and wound up coming here," he said. "One of the primary reasons is because Dr. Jack Staggs, who at that time was head of the teacher education program, had invited me to come." While at SHSU, Merchant taught many graduate-level classes, but started out teaching upper-level undergraduate elementary education courses. Though Merchant chose to spend the majority of his career teaching at the university level, he said it isn't much different than teaching at the elementary school level. "I've always enjoyed teaching very much, so I think regardless of the age level of the person you're teaching, it's still pretty much the same," he said. "Of course, you do it differently-you use different techniques and strategies, but it was very much the same." In 2000, Merchant was the recipient of the George and Gwyn Brownlee Memorial Leadership Award from the Texas Association for Supervision and Curriculum Development for his "performance of instructional, supervisory, and curricular duties and responsibilities consistent with the purpose of the organization in an exemplary manner." He was also the recipient of the SHSU Excellence in Service Award in 1998 and has been nominated for the title "distinguished professor emeritus". "Dr. Merchant has excelled in the traditional criteria by which faculty are evaluated, namely teaching, research and service. He is nationally recognized for his scholarly/creative accomplishments," said one co-professor in his nomination letter. "He is a mentor and role model to his students," the letter continued. "He spends many hours outside of class time meeting and counseling his students in their research projects." Merchant's dedication to his students is revealed when he talks about his favorite classes. All involve direct and personal contact with students at both the graduate and undergraduate levels. "When I taught the undergraduate courses it (my favorite course to teach) was working with the students who were going out in schools and observing in classrooms during the day," he said. "Then we'd have class and we'd always discuss what they observed. "Of course, in more recent years, my favorite course has been working with the doctoral program, and that's all I've taught for the last six years," Merchant said. "It's because the students are practicing administrators-most of them are either principals or superintendents in schools-and they can bring in their current problems, and everybody is able to learn from each other and stay current." Outside of the university, Merchant has served on the board of Examiners for the National Council for Accreditation of Teacher Education, has been the president of Texas Professors of Educational Administration and has authored several books, articles and book chapters on various education-related topics, among many other activities. His selection for the Excellence in Service Award is further evidence of his work on behalf of education in Texas. 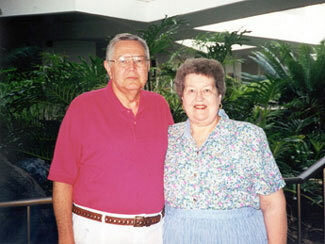 In his retirement, Merchant said he and his wife, Joyce, will spend time simply relaxing. "We have several things that we'd like to do and we'll do maybe a little bit of travel, but mostly just enjoy life."